A Sahabi (Companion) is that Muslim who has assisted in the holy court of the Prophet (sallal laahu alaihi wasallam) - in the Holy Prophet's (sallal laahu alaihi wasallam) presence - and has passed away from this world with faith. All Sahabis are of praise and are pious. They are also sincere in their Islamic judgement and in their Islamic actions. When there is talk of a Sahabi, it is compulsory that it be with praise. To have bad beliefs for any of the Sahabis is mis-guidance and belonging to the wrong sect. To speak ill of the dignity of Hazrat Amir Mua'awiya, Hazrat Amr Bin Aas, Hazrat Wahshi (radi Allahu anhum), etc. is to curse them and this is a Shi'ite belief. According to Islamic Jurists, to insult Hazrat Shaikhain (Hazrat Abu Bakr and Hazrat Farouk-e-Azam � radi Allahu anhum) or to reject their position as Caliphs is infidelity. Regardless of how high a rank a Wali is, they would never reach the grade of a Sahabi. The battle between Hazrat Ali (radi Allahu anhu) and Hazrat Amir Mua'awiya (radi Allahu anhu) was a mistake in the interpretation of Islamic Law and, therefore, is not a sin. Therefore, to call Hazrat Amir Mua'awiya (radi Allahu anhu) cruel, treacherous, etc., is all strictly forbidden and not allowed. This is in fact a curse and the person is a Shi'ite. Even among the Sahaba, some of them are more excellent in status than others. 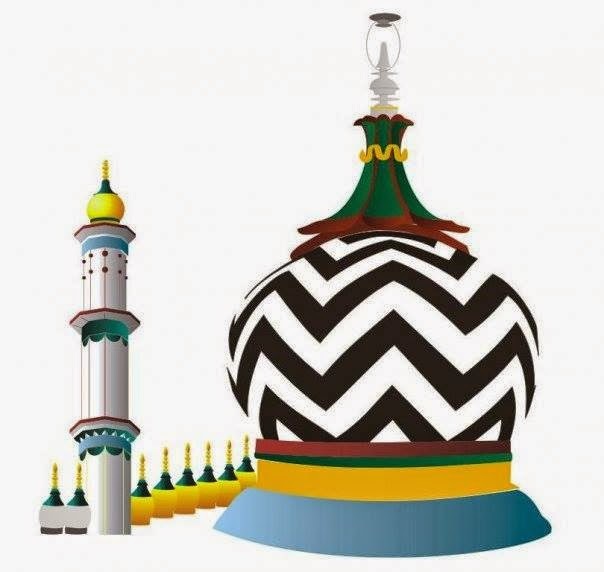 After the Ambiya, Hazrat Abu Bakr Siddique (radi Allahu anhu) holds the greatest status, then Sayyiduna Umar-e-Farouk, Hazrat Usman-e-Ghani and Hazrat Ali-e-Murtaza (radi Allahu anhum). After these Khulafa-e-Raashideen come the rest of the Ash-harah Mubasharah (those who were given glad tidings of Jannah by the Prophet sallal laahu alaihi wasallam), then Hazrat Hasnain Karimain, Ashaab-e-Badr and Ashaab-e-Baitur Ridwaan. All of them will go to Jannah. 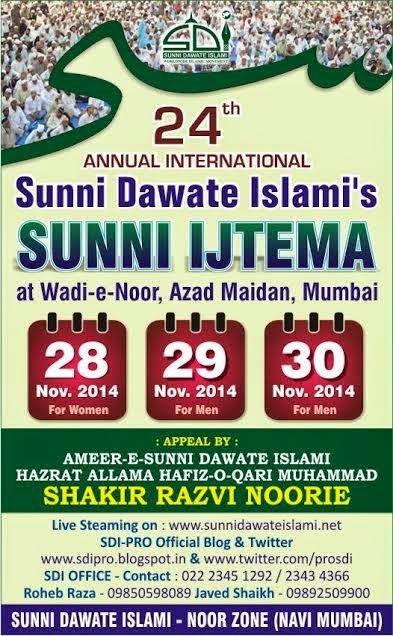 The Ahl-e-Bait are the Holy Prophet's (sallal laahu alaihi wasallam) wives and children. To love the Sahabis and Ahl-e-Bait is to love the Holy Prophet (sallal laahu alaihi wasallam). Hazraat Hasnain (Imaam Hasan and Hussain � radi Allahu anhuma) are of the highest grade of Martyrs. Those who reject any of their Martyrdoms is a misguided person and from a bad sect. Those who call Hazrat Imaam Hussain (radi Allahu anhu) a traitor or show Yazid as correct is a rejected person and a Kharji and therefore rightful of the Fire of hell. There is no doubt in Yazid being wrong, however, one is not supposed to call Yazid a Kaafir or a Muslim, but remain quiet. Those who do not love the Sahabis or Ahl-e-Bait are misguided and from the wrong sect. To get involved in the details of disagreements between the Sahabis is forbidden and strictly forbidden. To hold them against their mistakes or because of this, blame them or show them as no longer evident on faith is not allowed and is against the order of Allah Ta'ala or His Messenger (sallal laahu alaihi wasallam). Some people believe that Allah Ta'ala is "Omnipresent", that is, Allah Ta�ala is Present and Over-looking at every time and at every place. 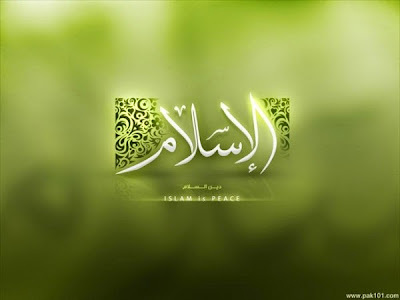 They believe Allah Ta�ala to be "Haazir" and "Naazir". his is not true, as Allah Ta'ala is not bound by time and space. Allah Ta'ala is Present and Seeing from eternity without time and without space. Allah Ta'ala's Attributes, namely, Life, Knowledge, Power and Speech, are without time and without place, so are Allah Ta�ala�s other attributes. Allah Ta'ala's Attributes always exists and will continue to exist till eternity. There is a great difference between Allah Ta'ala being Present and the souls of His creation being present. No one is present like Allah Ta'ala being Present. The Angels, the souls of Prophets, the souls of the Awliya Allah and the souls of pious Muslims are present at any place where they are called. They were non-existent, before being present. They will seize to exist after a while. The souls of the creation were absent before it became present there, and will be absent some time later. The presence of the souls is with time and with place. Now that we have explained the concept of Allah Ta'ala being Present and clarified our position with regards to the station of the souls in this respect, we will explain the concept of Haazir (present) and Naazir (over-looking) of the Holy Prophet (sallal laahu alaihi wasallam). 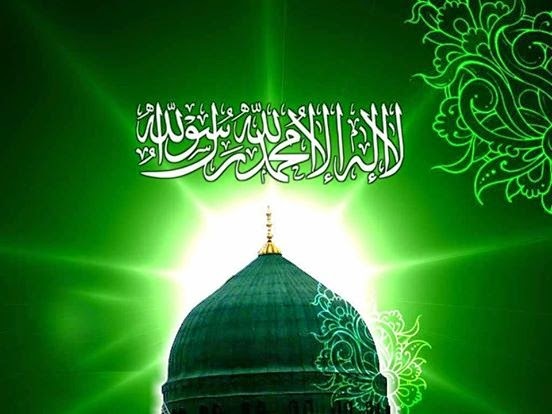 It is the belief of the Ahle Sunnah Wal Jama�at that the Holy Prophet Muhammad (sallal laahu alaihi wasallam) is given power by Allah Ta'ala to be Haazir and Naazir. Some persons say that the Ahle Sunnat Wa Jamaat believes that the Holy Prophet Muhammad (sallal laahu alaihi wasallam) is present like Allah Ta�ala is Present. This is totally false because the Ahle Sunnah Wal Jama'at does not have such a belief. The Ulema have used the words "Haazir-o-Naazir" for Rasoolullah (sallal laahu alaihi wasallam). Allah Ta'ala states in the Holy Quran: "How then if I brought from each people a Witness and brought you (O Muhammad) as a Witness against these people". (Sura al-Nisa: 41) This proves that each Prophet is a Witness for his Ummah, for those who accept Allah Ta'ala and those who reject Him. It also proves that Sayyiduna Rasoolullah (sallal laahu alaihi wasallam) was present before each Ummah, witnessing their deeds. On the Day of Qiyamah, when they will be questioned about their deeds, they will deny it. Then, Allah Ta'ala will bring the Final Messenger (sallal laahu alaihi wasallam) as a Witness and he will testify because he was present there when they were practising evil. Allah Ta'ala states in the Holy Quran: "O Prophet! Truly, We have sent you as a Witness, a Bearer of Glad Tidings, and a Warner". (Sura al-Ahzab: 45) Here Allah Ta'ala says that the Holy Prophet (sallal laahu alaihi wasallam) is a witness sent by Him concerning men's doings and how they receive Allah Ta'ala's Message. In order to give evidence, a witness has to be present and watching. Even in the Court of Law, a witness is asked, "Did you see the incident taking place?" Allah Ta'ala states in the Holy Quran: "And keep thy soul content with those who call on their Lord morning and evening, seeking His face and let not thine eyes pass beyond them." (Sura Kahaf: 28) In this verse Allah Ta'ala is asking Sayyiduna Rasoolullah (sallal laahu alaihi wasallam) to keep a close watch on those people who seek Him. He is asked to observe them day and night. Note that no limitation has been imposed - "observe them during your life and after you assume a veil of departure". This is another proof that the Prophet (sallal laahu alaihi wasallam) is watching us 24 hours a day! Allah Ta'ala states in the Holy Quran: "The Prophet (sallal laahu alaihi wasallam) is closer to the Believers than their own selves". (Sura al-Ahzab: 6) Sayyiduna Rasoolullah (sallal laahu alaihi wasallam) is with every Muslim. (N.B. Not every Muslim, but every "Mu'min" among the Muslims). That is the reason why the non-Mu'mins feel that Sayyiduna Rasoolullah - sallal laahu alaihi wasallam - is far from them. But it is they who are far from the beloved of Allah (sallal laahu alaihi wasallam). Sayyiduna Rasoolullah (sallal laahu alaihi wasallam) is closer to them than they are to their own selves, irrespective of time and place. He is witnessing their deeds. Allah Ta�ala gives this power to him. It is reported by Hazrat Abdullah bin Umar (radi Allahu anhuma) that Sayyiduna Rasoolullah (sallal laahu alaihi wasallam) said: "Indeed this entire world is in front of me so that I can observe everything in it. I can see everything in this world and everything that will take place till the Day of Qiyamah. I see the entire world as I see the palm of my hand". (Mawahib-e-Ladunnia) This Hadith Shareef substantiates the belief of the Ahle Sunnah that Sayyiduna Rasoolullah (sallal laahu alaihi wasallam) is Haazir and Naazir. Hazrat Qazi Abu Iyaaz (radi Allahu anhu) writes in his "Shifa" that Hazrat Amr bin Dinar (radi Allahu anhu), a Taba'in and Faqih of Makkatul Mukarramah, said: "If you enter a house and find that there is nobody there, say 'May Peace and Blessings of Allah be upon the Holy Prophet (sallal laahu alaihi wasallam)'". Writing a commentary on this Hadith Shareef, Hazrat Mulla Ali Qari (radi Allahu anhu) says: "This is so because the soul of the Prophet (sallal laahu alaihi wasallam) is present in every Muslim home". Hazrat Ali Hameed Saaidi (radi Allahu anhu) has reported that the Messenger of Allah (sallal laahu alaihi wasallam) said: "If any of you enters the Mosque, send Salaams to me, followed by this Du'a: 'O Allah! Open your Door of Blessing for me'". (Abu Dawud, Ibne Majah, Baihaqi) This Hadith proves that Sayyiduna Rasoolullah (sallal laahu alaihi wasallam) is present in every Mosque of this world and according to Islam, the entire earth is a Mosque for the Muslims, as reported by Hazrat Jabir bin Abdullah (radi Allahu anhu) that Sayyiduna Rasoolullah (sallal laahu alaihi wasallam) said: "The entire earth has been made a Mosque for me". (Bukhari Shareef) Thus, the Prophet (sallal laahu alaihi wasallam) is present everywhere on earth! The Holy Prophet (sallal laahu alaihi wasallam) said, "I have been sent towards all the creation of Almighty Allah." (Sahih Muslim Shareef; Mishkaat Shareef) This Hadith Shareef proves that the Prophet (sallal laahu alaihi wasallam) is being a witness for those towards whom he was sent as a Prophet. Hazrat Haji Imdaadullah Muhaajir Makki (radi Allahu anhu) writes: "Our Ulema fight in the issue of Meelad Shareef. The Ulema believed in its permissibility as well. When the side of permissibility exists, why then is there so much hardness on this issue? For us, it is sufficient to follow the people of Haramain (Makkah and Medina). Imam Ahle Sunnat, Hazrat Sayed Ahmed Sa'eed Qazmi (radi Allahu anhu) states: "When the word Haazir-o-Naazir is used for Rasoolullah (sallal laahu alaihi wasallam), it does not mean that the physical body of Rasoolullah (sallal laahu alaihi wasallam) is everywhere and that he is present in front of everybody. This in fact means that as the soul exists in every part of the body similarly the light filled reality of the Soul of both the worlds (sallal laahu alaihi wasallam) exist in every atom of the worlds. Thus we have learnt that Hazrat Muhammad (sallal laahu alaihi wasallam), through the Light (Noor) of his Prophethood, knows the faith of every faithful and the degree of his Imaan and also the obstacles which stand in the way of a faithful's spiritual advancement. The Holy Prophet (sallal laahu alaihi wasallam) knows our sins, and our spiritual status, and our good and bad deeds, and our sincerity and hypocrisy. His witness is the most acceptable in favour of his Ummah. 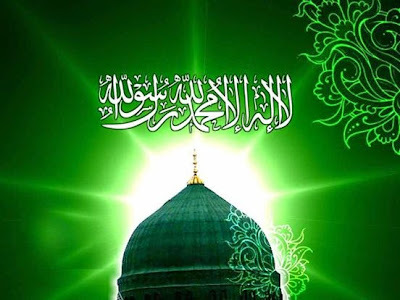 The Soul of Hazrat Muhammad (sallal laahu alaihi wasallam) observes all the souls and living beings. The deeds of the Ummah are presented to Hazrat Muhammad (sallal laahu alaihi wasallam) every morning and every evening and the Holy Prophet (sallal laahu alaihi wasallam) recognizes (each member) of his Ummah through their actions, and hence, he would be a witness for them. Hazrat Muhammad (sallal laahu alaihi wasallam) is a witness for the Believers over their faith, for the non-Believers over their apostasy and for the hypocrites over their dual character. There are some mislead individuals who feel it appropriate to believe that Rasoolullah (sallal laahu alaihi wasallam) has been restricted to his Blessed Grave till the Day of Qiyamah and that it is out of his reach to travel wherever he pleases and to make himself present wherever he pleases. Allah Ta'ala sent all the Prophets to our Prophet (sallal laahu alaihi wasallam) on the Mi'raj night. He became the Imaam, and they performed two rak'ahs of Salaah. 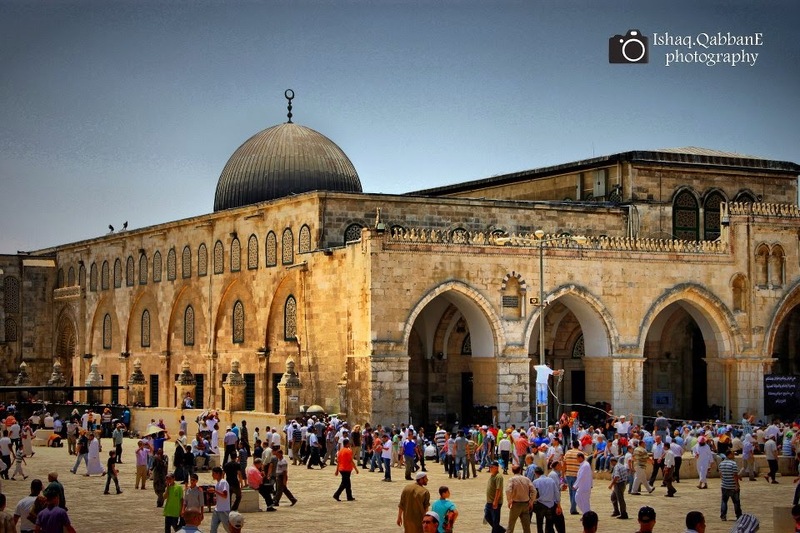 It is thus seen that all the Prophets (alaihimus salaam) made Haaziri (were present) in Musjid al-Aqsa to perform Salaah with our Noble Prophet (sallal laahu alaihi wasallam) being the Imaam. 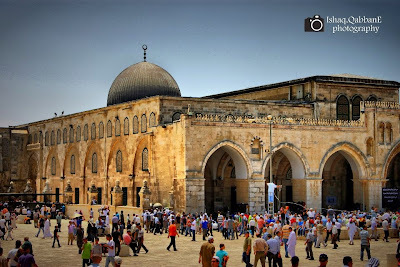 If Prophets cannot leave their Blessed Graves then how is it that all of the Prophets (alaihimus salaam) were present in Musjid al-Aqsa, on the blessed night of Mi'raj an-Nabi which occured long after the Wisaal of the other Prophets. It is recorded that at the time of the call to prayer (Adhan) the Shaitaan runs thirty-six miles away and returns in an instant after the completion of the Adhan. (Mishkaat) How can it be, that Allah Ta'ala's Beloved, Huzoor-e-Aqdas Muhammad Mustafa (sallal laahu alaihi wasallam) is confined to his Blessed Grave while Shaitaan is freely running up and down, and that too, at high speeds! The speed of Jibra'eel (alaihis salaam) is such that, when Nabi Yusuf (alaihis salaam) was thrown into the well, Jibra'eel (alaihis salaam) travelled from Sidratul Muntaha to the bottom of the well. When Nabi Ibraheem (alaihis salaam) was about to sacrifice Nabi Ismail (alaihis salaam) and had his knife on the neck of Nabi Ismail (alaihis salaam), Jibra'eel (alaihis salaam), travelled from Sidratul Muntaha to the earth with a Ram. The above events relate to an Angel and it's abilities, but men of Allah (Awliya Allah) are also imbued with such powers. Asaf ibn Barkhiya's taking the throne of Bilqis (the Queen of Sheba) to Hazrat Sulaiman (alaihis salaam) is also reported in the Holy Quran, Surah Naml, Verses 39 and 40. It is written in the book "Wahhabiyya": "Tayy al-masaafa, that is, traversing long distances in a moment, is a Karaama (miracle) bestowed upon Awliya'. It is Waajib to believe in this." Ibn Hajar al-Haitami (radi Allahu anhu) wrote in his Fatawa: "The number of those who said that if a Wali (saint) goes to a very distant place in the West (in a short time) after he has performed the evening Salaat and if the sun has not set there yet, he need not perform the evening Salaat for the second time at that place, are many." Concerning the questioning (of the dead person) in the grave, the third question that will be asked by the Angels of the grave is, "Ma kunta taqulu fi haqqi hazar rajul" (meaning : "What did you have to say about this person?" (i.e. the Prophet (sallal laahu alaihi wasallam) When this question is asked the veil is removed from the dead person's eyes so that he can see the Holy Prophet (sallal laahu alaihi wasallam) who will be present (Haazir) in the grave. 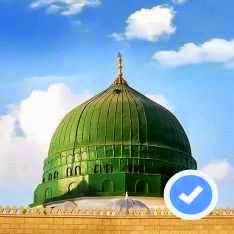 (Mishkaat Shareef; Bukhaari) From this Hadith we learn that the Prophet (sallal laahu alaihi wasallam) is seen by the dead in person and not in some sort of mental thought, because the word "rajul" that is used in the question, in Arabic grammar refers to a real person made of flesh and bones.